Jack Coggins was born in London, England on July 10, 1911, the only child of Ethel May (Dobby) and Sidney George Coggins. 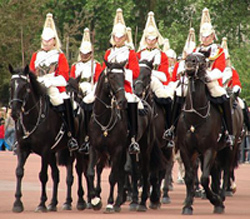 Sidney Coggins was the Riding Master of the First Regiment of Life Guards which were the elite cavalry of the British Army, and Jack Coggins was born in his father's military barracks. Coggins's father was retrenched from his position as Regimental Corporal Major during wholesale cutbacks to the military started in 1922 (known as the Geddes Axe after the committee chairman Eric Campbell Geddes), when the First and Second Life Guards were combined into a single regiment. 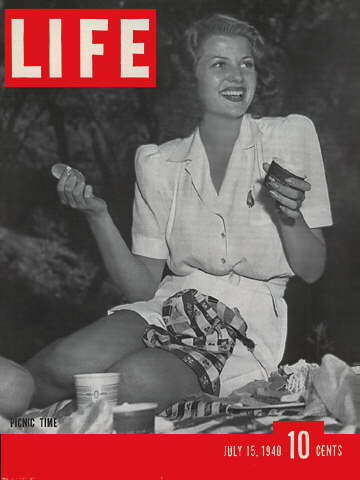 A fellow officer married to an American steel heiress offered Coggins's father work as a secretary to his wife, and the family migrated to the United States, moving to Long Island, New York. They left Southampton on 22 June 1923 on the United States Lines President Fillmore (5641 tons), Captain A B Randall, with 86 other passengers. 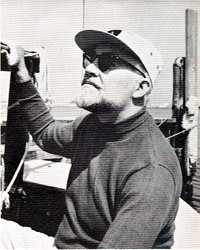 Coggins's interest in sailing and maritime subjects, which had its beginnings in London when sailing model yachts on the famous Round Pond in Kensington Gardens, developed into a life-long passion during his teen years spent sailing small craft on Hempstead Harbor, near his new home on Long Island. While his father served with the Life Guards Regiment in France during World War I, Coggins and his mother lived with family in Folkestone, Kent, and he attended the Imperial Service College, a public school preferred by army families. On moving to New York, Coggins enrolled at Roslyn High School in Roslyn Heights where he found difficulty in adjusting to the extreme differences between his military school in England and his New York city public school. Coggins had always enjoyed "fiddling around with drawing" and his family had not discouraged him; after graduation from Roslyn in 1928 at age 17, he was enrolled in the New York City Grand Central School of Art which was located above Grand Central Station. There he studied under such eminent painters as Edmund Greacen, George Pearse Ennis, and Wayman Adams. In the early years, he painted constantly but not professionally; to support himself he painted advertising signs. With a concentrated grounding in fine art techniques, Coggins graduated to the Art Students' League, where he studied from 1933 to 1934 under noted artist Frank DuMond. As a result of his father's military service and his early education in a military school, Coggins had always been interested in military subjects. By 1939, the world was on the brink of war as hostilities had already erupted in Europe; Coggins took a sampling of his war illustrations to Worthen Paxton, the then-art director of LIFE Magazine. Paxton commissioned Coggins to produce a drawing of an imaginary coastal invasion of England for $250, a large sum at the time. 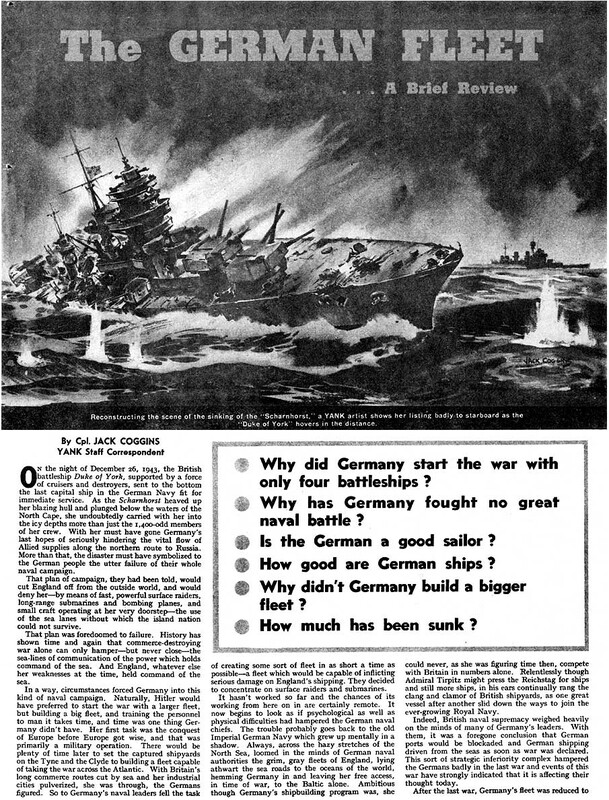 Appearing on July 15, 1940, this was possibly Coggins's earliest published work and the first of many war time illustrations for LIFE; it set the direction of much of his work for the next five years, and showed the meticulous style of his future artistic output. 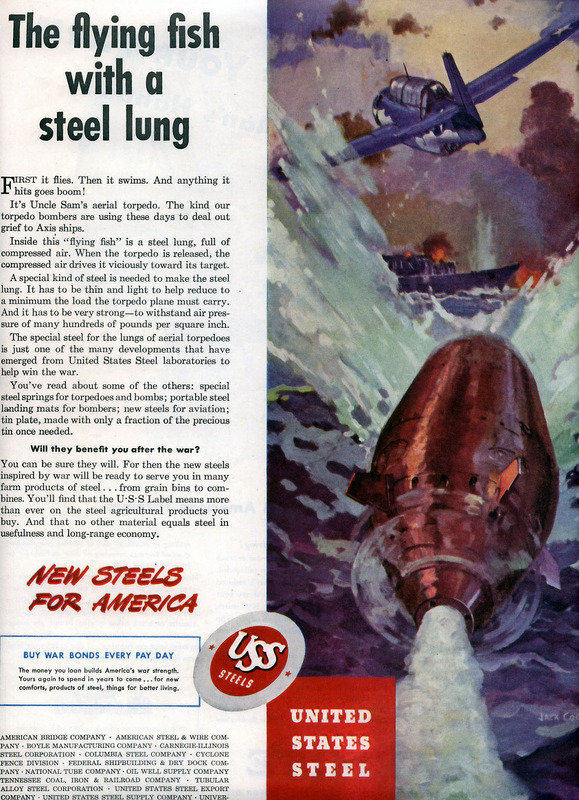 During the early 1940s, Coggins obtained more work producing war pictures for other magazines, including a series of double-page spreads for the controversial newspaper PM, and illustrations for The Saturday Evening Post. Throughout the war years, most of the output of many large corporations was reserved for war materiel production; however, management were keen to promote their connection to the war effort and keep their name before the buying public until they could resume peace time sales. 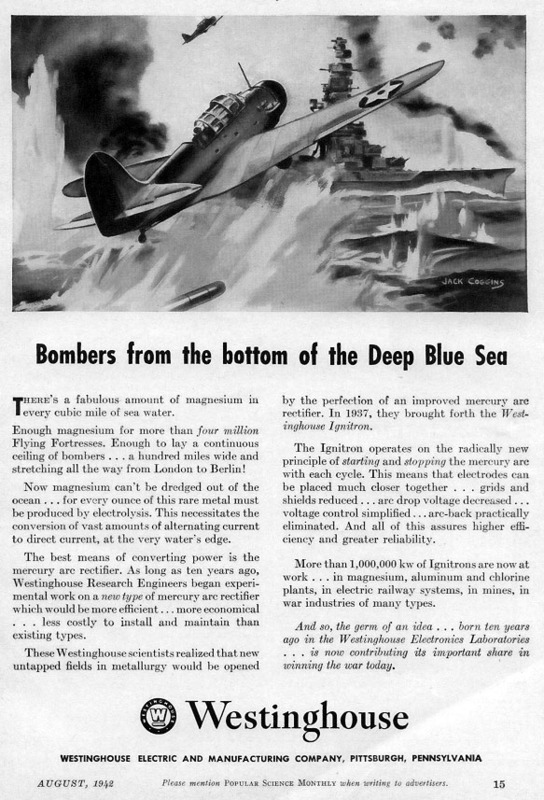 Coggins received advertising commissions from such corporations, including Elco, Koppers, US Steel, and Westinghouse. He also received commissions from the U.S. War Department for aircraft recognition charts, and was intrigued to later find these charts used during his army basic training. 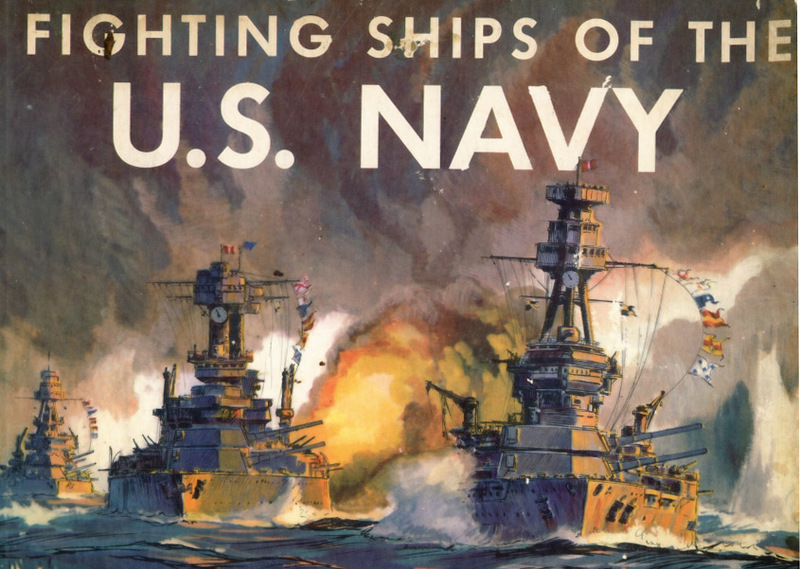 Because of the quality of his maritime illustrations, Coggins was invited by publisher Doubleday to provide artwork for a planned children's book about the U.S. Navy. The author was to be Fletcher Pratt, a well known military historian, and the publisher sent Coggins to meet him. Their common interest in maritime history created a lasting friendship and a fruitful association between the two men. Coggins was invited to participate in Pratt's Naval Game, based on a wargame developed by Fred T. Jane involving dozens of tiny wooden ships, built on a scale of one inch to 50 feet. These were spread over the floor of Pratt's apartment and their maneuvers were calculated via a complex mathematical formula. The result of Pratt and Coggins's first collaboration, published in 1941, was Fighting Ships of the U.S. Navy, a volume that described in text and illustrated in full color every class of ship in the Navy. Jack Coggins was called up for Army service, and enlisted on April 8, 1943. He was pulled from basic training at Fort Eustis, Virginia, before he could complete it, to work as an illustrator for YANK magazine; a U.S. Army weekly magazine "by the men ... for the men, in the service". He was originally introduced to the Commanding Officer and Editor of YANK, Colonel Franklin Forsberg, by Fletcher Pratt. On May 20, 1943, Coggins commenced work at the head office of YANK in New York, where he worked until his departure for Britain on October 14 of the same year. Jack Coggins became a naturalized citizen of the United States of America on August 19, 1943. He served as an artist for British YANK in London until August 8, 1945 and was finally discharged from the U.S. Army on November 3, 1945. While in Britain, Coggins spent time on a Royal Navy convoy in the North Sea, witnessed the bombing of Saint-Lo, and flew over Berlin in a Lancaster bomber. He also spent time on a U.S. PT boat patrolling the beaches and made a trip into Brittany with an armored column. 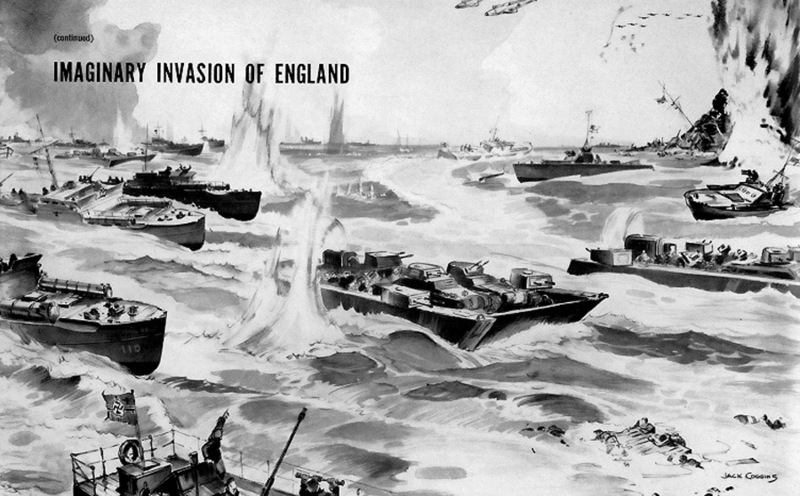 Action from all these sorties was illustrated in YANK magazine in double page spreads. 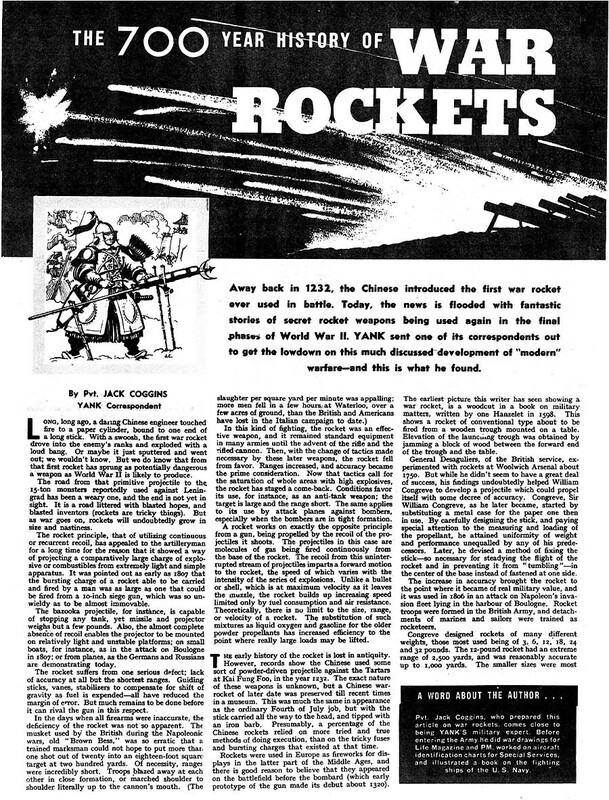 During his time in Britain, Coggins wrote articles on War Rockets and the German Fleet which were also published in YANK; these articles clearly demonstrate his talents and early knowledge in those fields. After returning to New York from his war service, Coggins found that many of the outlets for his pre-war work had dried up. A friend had resigned from Hunter College, a faculty of the City University of New York, and suggested that Coggins apply for the position. His application was successful, and he taught watercolor painting at Hunter College from 1948 to 1953. In New York, as a result of his friendship with Fletcher Pratt, Coggins was introduced to the Hydra Club where he met Judith Merril and L. Ron Hubbard; he was also invited to join Pratt's Trap Door Spiders club where he became closely associated with L. Sprague de Camp and Isaac Asimov. The contact with such visionaries, in addition to his exposure to the German V2 rockets in Europe, served to strengthen his growing interest in space travel, rockets and science fiction. 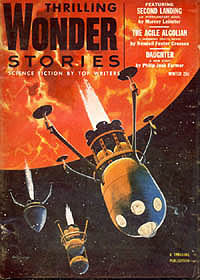 During the 1950s Coggins illustrated covers for pulp science fiction magazines, most notably Galaxy Science Fiction, The Magazine of Fantasy & Science Fiction and Thrilling Wonder Stories. 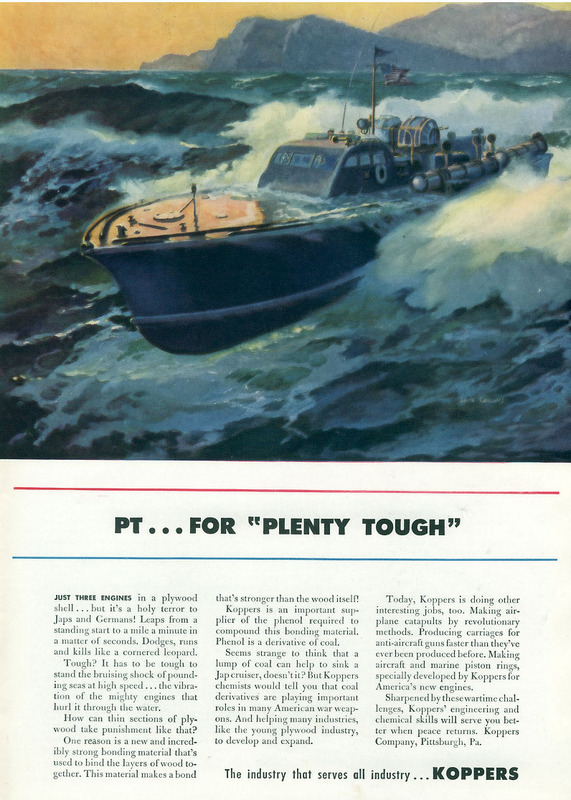 During the late 1940s and early 1950s Coggins's marine art was featured on covers of Yachting Magazine and other publications, as well as on advertising material. 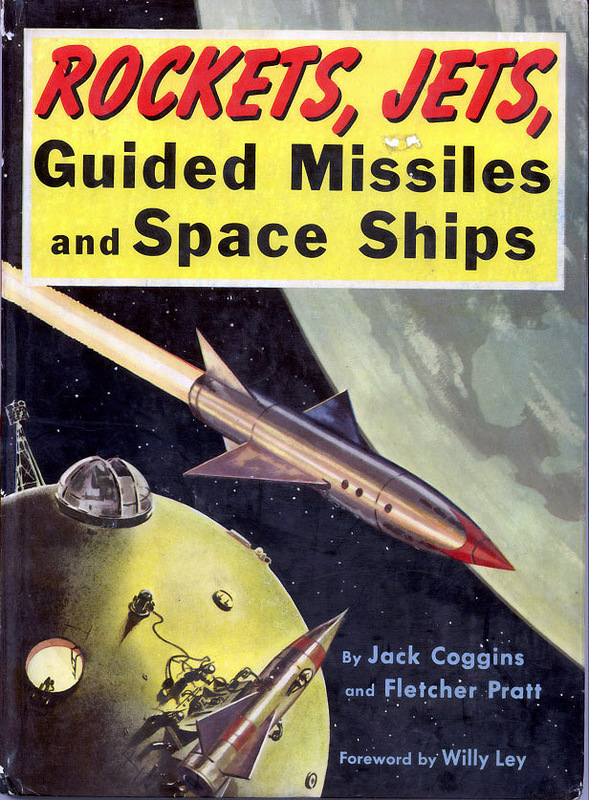 In 1951 and 1952, he again collaborated with Fletcher Pratt on two classic books: Rockets, Jets, Guided Missiles & Space Ships, and By Space Ship to the Moon. 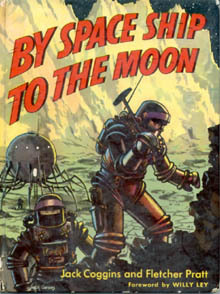 The books were released amidst a great wave of interest in space travel which swept the United States and the rest of the world in the 1950s; they were published in several countries and translated into other languages. 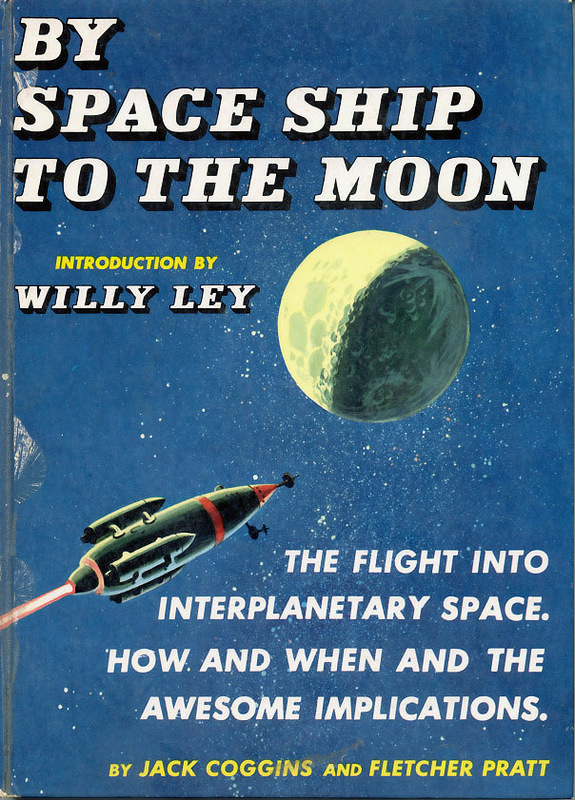 These books made the prospect of space exploration seem a practical possibility. NASA scientists used the books to demonstrate their ideas to Congressmen when seeking funding for the space program, and there are many NASA scientists today who retain fond memories of the influence the books had on their careers. 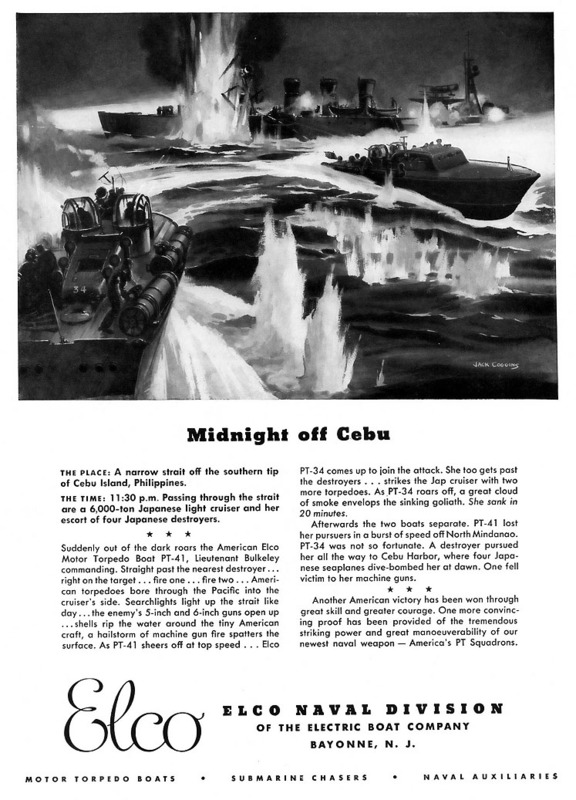 Altogether, between 1941 and 1983, Coggins wrote and/or illustrated 44 books on a wide range of marine, military, historical and educational themes. 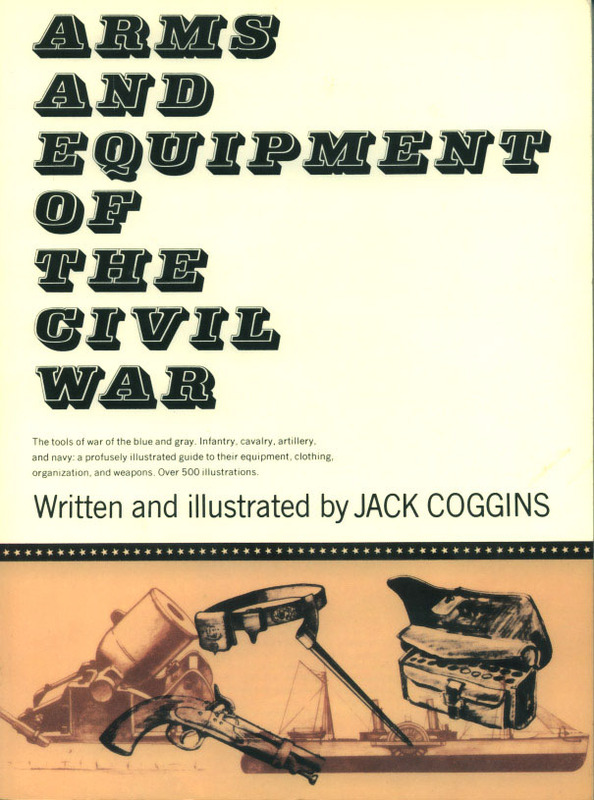 In 1962 he wrote and illustrated Arms and Equipment of the Civil War which has become a major reference work for Civil War historians and which has been republished several times, most recently in 2004. 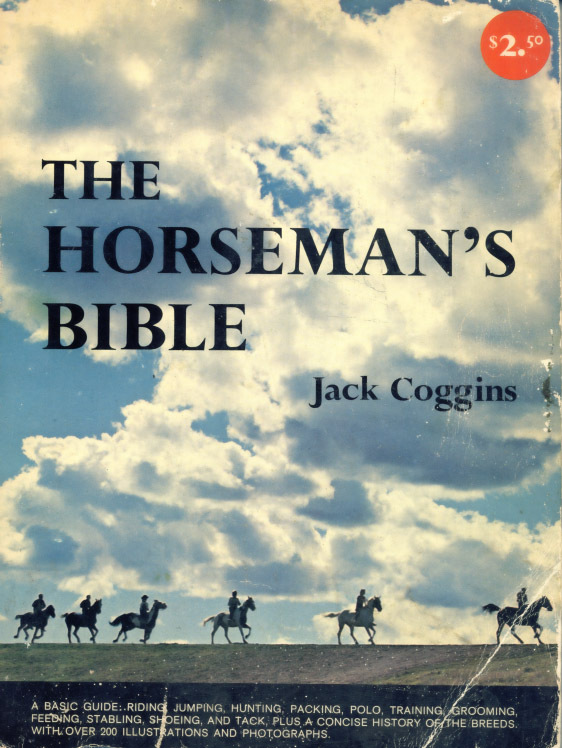 In 1966 he wrote and illustrated The Horseman's Bible, which has sold at least half a million copies; a revised edition was published in 1984. In this book Coggins acknowledges his father, "whose twenty five years in the cavalry and life long interest in horses made his advice invaluable". 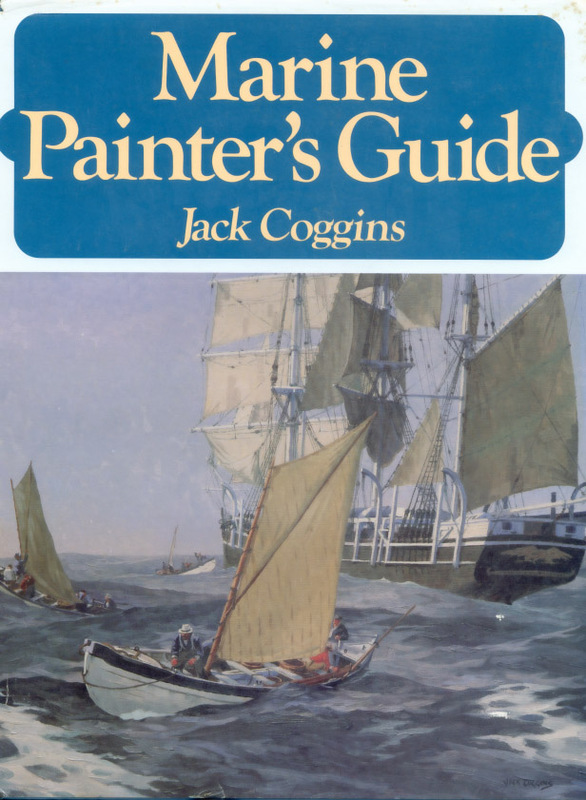 Coggins's last book was Marine Painter's Guide which was first published in 1983; after the book was published he decided to stop writing to concentrate more on painting. 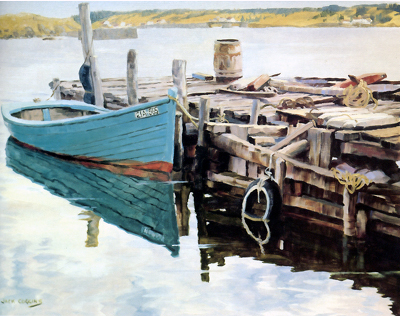 A new edition of Marine Painter's Guide was published in 2005 by Dover Publications Inc., New York, who have printed new editions of several of his books. Jack Coggins produced almost 1000 paintings during his career. His published books and illustrations led to many commissions for works of art from individuals, major corporations and institutions. The majority of his paintings have a maritime theme in a realistic style and are executed in oils, for which he had a preference. However, he executed many works in watercolors and other media; examples of rural themes are common, and some works have a slightly impressionistic style. His stated preference in art styles was "a direct splashy type of realistic painting" and he admired the New Hope school of Redfield and Garber, with "no liking for 'modern art'". His paintings are owned by the Philadelphia Maritime Museum, the National Air and Space Museum of the Smithsonian Institution, the U.S. Navy, the United States Coast Guard, among many other institutions and corporations, as well as private collectors. His original manuscripts and illustrations are part of the University of Southern Mississippi's Permanent Collection of outstanding authors and artists, and his children's books are in the Illustrators' Collection of the Children's Literature Research Collection, The Free Library of Philadelphia, Central Library. 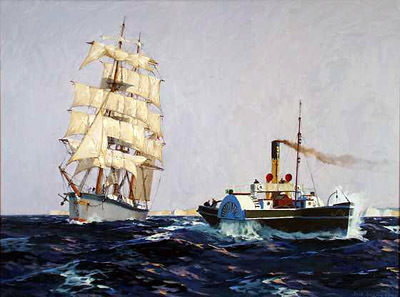 Coggins was a signature member of the Pastel Society of America and a Fellow of the American Society of Marine Artists. He has been a member of the American Ordnance Assn., the U.S. Naval Institute, and advisor to the board of the Philadelphia Maritime Museum and the Reading Public Museum. During his time as a member of the faculty of Hunter College in New York, Coggins met Alma Wood who was a fashion and photographic model at the time. They married in 1948 and moved to Berks County, Pennsylvania shortly afterwards. Coggins taught his wife to paint, and she had success as an artist in her own right under the name Alma Woods, the couple holding annual joint exhibitions for many years. 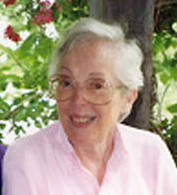 Alma Coggins assisted her husband in the planning, research and typing of many of his books, and he acknowledged her efforts with book dedications to her. Jack and Alma Coggins had no children; his only living relatives are several cousins and their families in Australia. Coggins taught master art classes at the Wyomissing Institute of the Arts from September 1957, until failing health forced his retirement in May 2001 at nearly 90 years of age. He died at his home in Berks County, Pennsylvania at the age of 94 in the early hours of January 31, 2006, and willed his body to medical science; read his obituary here. His wife, Alma Wood-Coggins died on March 4, 2007 - read her obituary here. In 1985, Jack Coggins received the Americanism Award from the Daniel Boone National Foundation and in 1989, he received the Purchase Award from the Mystic Maritime Gallery. He received the Rudolph Shaeffer Award in the International Maritime Exhibition from 1987 to 1990, the Pagoda Award from the Berks Arts Council in 1995, and the Revolution Round Table Award. 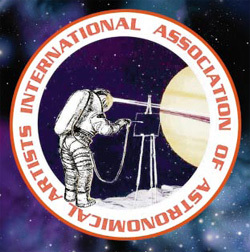 In 2000 he was inducted to the International Association of Astronomical Artists Hall of Fame as a Living Legend and celebrated master of the genre of Space Art. This article was originally written by the author of this website, and was transferred to an entry for Jack Coggins on Wikipedia.